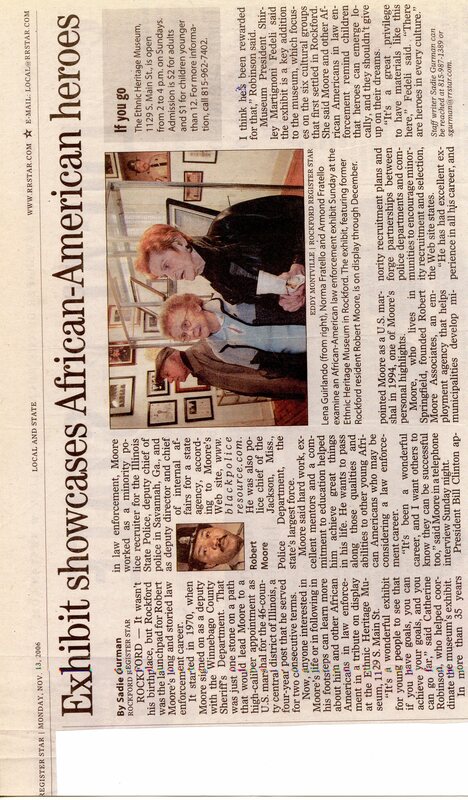 Newspaper article is about African American Robert Moore's career and life. 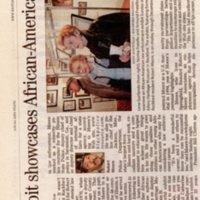 The article talks about the exhibit that has been created on his life. Sadie Gurman, “Exhibit Showcases African American Heroes,” UIS History Harvest, accessed April 23, 2019, http://uishistharv1.uis.edu/items/show/320.